This is the the small handy bags usually used to carry the money, cell phones, camera, gadgets, id passport etc. This is cross body bag both for girls and boys. This is small handy can be carry out easily anywhere. 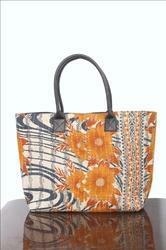 The cotton is dyed with permanent colours that remain lasting till longer. Embroidery and zip stitching is done afterwards with anchor threads. 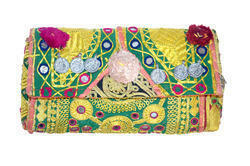 The specialty of these handbags is that they are multi-usable. It goes with any attire and has good capacity.